Ken Andrews at his Red Swan Studio. Ken Andrews won a blind shoot-out against some of the biggest names in the mixing world. His prize? The plum job of mixing Paramore's acclaimed comeback album. When a band lose two of their four founding members, including their principal music writer, in an acrimonious split, few would put money on the band going on to bigger and better things. Yet this is exactly what Tennessee emo band Paramore have done. 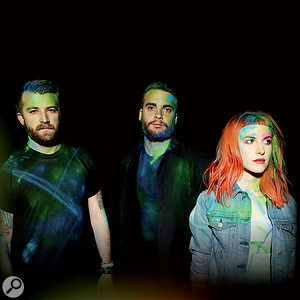 When guitarist and songwriter Josh Farro and drummer Zac Farro left at the end of 2010, the three remaining members stayed together, refocused, and, two and a half years later, came up with the eponymously titled and widely praised Paramore. Released in April, the album received rave reviews and topped charts around the world, including the UK and the US, making it the band's first native number one. Perhaps the hook-laden, punky pop direction of Paramore's first three albums had reached its natural end and a reinvention was overdue, even if the Farro brothers hadn't left. Either way, the remaining three members set about recasting the band's sound with gusto, dressing up their still hooky pop songs with quirky sounds and left-field arrangements. To help them, they enlisted Justin Meldal-Johnsen, who has been Beck's musical director for nearly 10 years and has forged a reputation as an innovative producer, working with ex-Failure frontman Ken Andrews, alt-rock bands such as Division Day and Neon Trees, and French electronic band M83. It was through Meldal-Johnsen's connection with Ken Andrews that the latter ended up mixing Paramore, but only after first clearing a serious hurdle: a mix shoot-out that saw him pitted against a handful of A-list mixers. Against the odds, Andrews mixed and conquered, and this is his story and that of his mix of the new Paramore album. Another view of Red Swan Studios. As Failure's lead singer, guitarist and bassist, Andrews made three albums: Comfort (1992), Magnified (1994) and Fantastic Planet (1996). Following this he released an EP and two albums with a solo project called ON (1999-2002), and assembled a short-lived band called Year Of The Rabbit, which released an EP and a self-titled album (2003). Andrews' first solo album under his own name, Secrets Of The Lost Satellite, was created with help from Meldal-Johnsen and released in 2007. The two men are also currently involved in the "digital band” Digital Noise Academy, who funded their recently released debut album via kickstarter.com. So far, this reads like the typical career path of a moderately successful musician, except that 22 years later, Andrews' main working arena is not the stage, but his Red Swan private studio in Los Angeles. His reputation as a mixer has grown to such an impressive degree that beating the top guys at their own game simply seems like the next logical step upwards. How did he get so good at it? In the 16 years since the release of Fantastic Planet, Andrews has worked as a mixer, engineer and/or producer with the likes of Nine Inch Nails, Beck, Pete Yorn, A Perfect Circle, Tenacious D, Black Rebel Motorcycle Club, Candlebox and many others. He also recently mixed the end title track for the science fiction film Oblivion, which was written by M83, and is currently working with M83 on another film score. 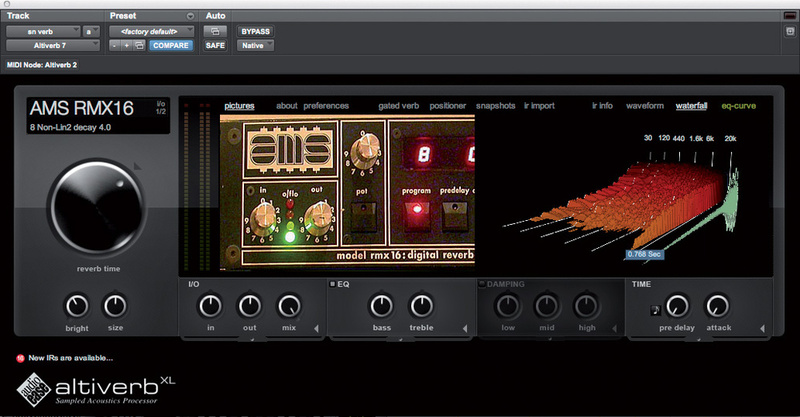 Ken Andrews' principal reverb and delay plug-ins were, respectively, Audio Ease's Altiverb and Sound Toys' EchoBoy. 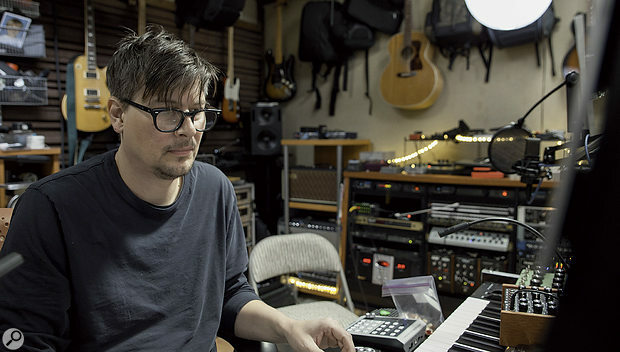 Andrews is an outspoken fan of digital audio, which led to him being interviewed a few years ago on an American TV program called Wired Science, in which his views were contrasted with those of analogue believer Steve Albini. "The ADAT was the beginning of the home studio revolution,” explains Andrews, "and I used computers for the first time when recording ON. I worked on Logic for a while, but switched to Pro Tools in 2003. I have done a number of projects where I've gone to tape first, or mixed down to tape, but since I started using DAWs, I've worked on only a handful of albums without the involvement of a computer. I now work closely with Avid, beta-testing stuff for them, making videos for their teaser ads, and writing music that they can use for demo purposes. The sonic quality of digital is really good now, and there's no going back for me. The role and status of specialist mix engineers within the music industry is also changing. Although their stock has risen dramatically, to the point where they are often expected to make creative contributions, recording budgets have continued to fall, and mixing has not been exempt. Many mix engineers have had to drop their fees, and in a competitive market, it has become increasingly fashionable to organise shoot-outs between several potential mixers. These shoot-outs are often unpaid, and it's a sign of the times that even A-list mixers feel under enough pressure to participate in them. So it was last Autumn that Andrews found himself taking part in what he called in his blog "an involved and somewhat nerve-racking audition process”. Paramore had recorded a whopping 17 songs for the album, and Andrews' all-digital setup was ideally suited to handling such a massive project. It took him seven weeks to mix all songs, beginning October 15th and finishing early December, but he stresses that he wasn't working on the album exclusively during this period. "I kind of do my day in three chunks: three hours in the morning, three in the afternoon, and three in the evening after the kids have gone to bed. I often get the entire mix done during the day and I'll then do some recalls in the evening, and occasionally I'll finish a mix in the morning, do the recalls in the afternoon and start a new mix in the evening. It really depends on the songs and on how many tracks there are in a session. In the case of Paramore, it took me about two weeks to do the first drafts for all songs, and I then started work on another record, while doing recalls on the Paramore album. "The sessions for the Paramore album usually had about 50-60 tracks, sometimes more, because there were a couple of songs that had a small orchestra on them. But the mixes didn't take that long, because they had been pretty smart about how they had recorded everything. The engineer, Carlos de la Garza, is really talented, everything was super-well recorded and the sessions were organised the way I like it, which is pretty common, with the drums at the top, the vocals at the bottom, and the instruments in between. When I receive a session, the first thing I do is a 'Save As' with my initials at the end, and I then listen to the rough, which usually has been printed back into the session. I get a sense of the vibe and direction of the song and I familiarise myself with the tracks that are in the session and then do some housekeeping, like going through all the regions and deleting any blank spaces. These blank spaces don't usually have noise on them, it's purely for me to have visual cues in the Edit window to see where parts begin and end. "Also, because I have a good relationship with Justin and Carlos, I had been aware of what they had been working with, software-wise, and they gave me a list of the plug-ins they had used for the roughs. There were only a handful that I didn't already have, and these were relatively inexpensive, so I bought them all and installed them on my system. This allowed me to open their sessions and not have disabled plug-ins. Another part of housekeeping, for me, is to rip out all the hardware I/O that's in the session and make sure there's no automation anywhere. I then import my own internal I/O and bussing setup, which contains a template of auxiliary plug-in effects and instrument sub-groups like drums, bass, guitars, keyboards, vocal, and so on. Each instrument family has its own stereo aux track at the bottom of the session, and I make sure everything is routed the way I want it. My template will generally have three or four reverbs, two or three delays and some drum-bus compression. That's my starting point for a rock mix, but the settings always get changed, depending on the song. It's a quick way to get going, and for the most part I can go through a rock song just using these, even though I may create a few new ones here and there. "The rough mixes for the Paramore album were a really good representation of what they wanted, especially in terms of overall tone and balance. If you compared the roughs with my final mixes, you'd notice that there was a sensibility in the roughs that I kept. I wasn't asked to reinvent things or anything like that, or mix with an eye on the charts. The drums were really well recorded, but, like most mixers, I have my bag of tricks to make them sound bigger and punchier and whatnot. Mixing was simply a matter of pleasing myself and the band, and once we had done that, we trusted that other people would also like it. Having said that, the recordings were relatively polished and the band were clearly not after an uncommercial sound. We weren't making a White Stripes record. That dictated the presentation somewhat. "What separates this new record from their previous records is, to a substantial degree, the synthesizers. They had many interesting guitar and backing vocal parts, but they also had all these synthesizer parts that had been added by Justin, and also Taylor, the guitarist, plus some percussive drum machine-type things. I believe the band partly hired Justin because they wanted his keyboard sensibility on the album. They'd experimented with synthesizers in their demos before they got in touch with him, so they were already going down that path. When it got to the mix, my challenge was how to represent that. The synths were important, and were the key to the new sound of the band, but we didn't want to lose the feeling that you're listening to a guitar-based band. There were usually one or two melodic guitars going on, plus a rhythm guitar, and the keyboard tracks. To my ears, there sometimes were too many keyboard parts, so I applied a number of creative mutes just to carve things out a bit and open up the sections. Drums: Waves SSL G-Channel & L2, Audio Ease Altiverb, Avid Digirack EQ III. 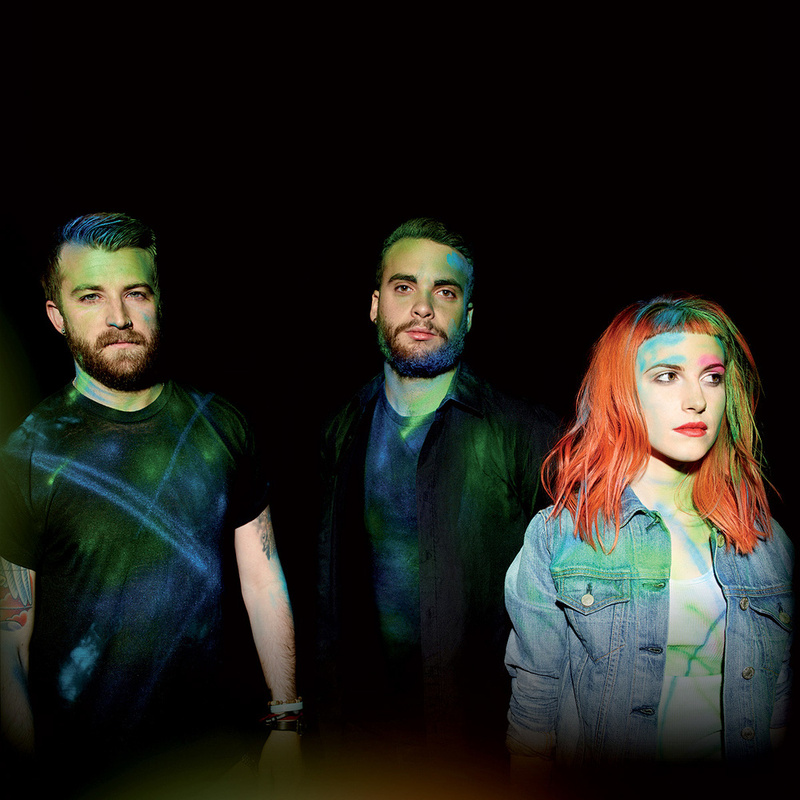 The cover of the album, featuring (from left) Jeremy Davis, Taylor York and Hayley Williams. "I added one kick sample to this session, which is the second track from the top. So there's their 'Kick In' mic, my sample, their 'Kick Out' mic, snare top and bottom, and the rest of the drum tracks, including two sets of overheads, consisting of one wider set of Neuman KM84s and another with a narrower sound coming from a stereo Royer SF12 ribbon mic. I split the hats track off into two tracks for different sections of the song, to get more control over the automation. I do that a lot. The 'S' on the inserts of all the drum tracks and the ride track is the Waves SSL G-Channel, which is my favourite plug-in for drums. In addition, I sent a little bit of the top snare mic to the Altiverb AMS RMX16 aux track, but other than that, I used the ambience that they had recorded. There were stereo close room mics, stereo far room mics and a mono room mic, and they all sounded awesome, so I was able to get a great drum sound just using them, plus the SSL G-Channel and the snare Altiverb AMS. "There are also 10 tracks of acoustic percussion overdubs in the song, with tambourine, cowbells, cabasa, triangle, wood block and so on, and three snare overdubs in the bridge. It's almost like there's a percussion party starting in the bridge. The snare overdubs are sent to the Plate reverb. I also have a Waves L2 and the seven-band Digirack EQ on some of the percussion tracks. Bass, keyboards & guitars: Waves C4, CLA2A & CLA3A, Sound Toys Crystallizer & EchoBoy, Avid Digirack EQ III & Echo, Audio Ease Altiverb, Trillium Lane AutoPan. "Below the percussion is a bass guitar track, which is a comp that I made. The bass on this record was mostly delivered in three to five tracks, all of one performance but with different sound sources, like DI, pedals, amp 1, amp 2, maybe a different mic on one of the amps, and so on. Usually, when I'm halfway through the instrumental mix and willing to commit to the bass sound I sub it down to one track. 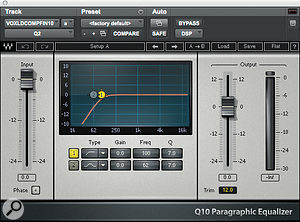 Having one performance spread over many tracks makes it difficult to work with, for example if you want to have a global EQ on it or something like that. 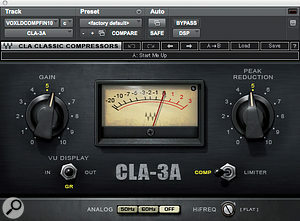 I had the Waves C4 multi-band compressor on the bass track. That plug-in is a big part of my workflow. It's incredible, I love it. You can tame a track that has a few unruly moments with this plug-in and you're not hearing it work, because it's multi-band. So it's great for subtle control. In this track I'm using it to control a build-up in the low mids. 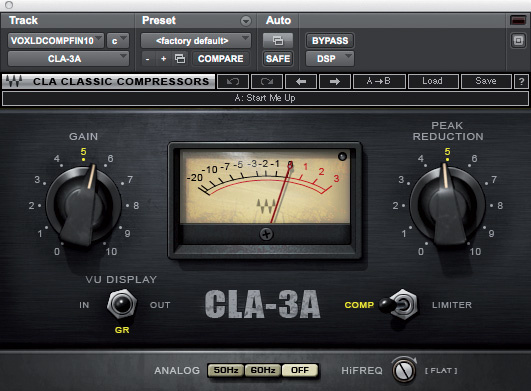 After that there's a tiny bit of overall control from the Waves CLA2A [compressor], with probably just 1dB of gain reduction. 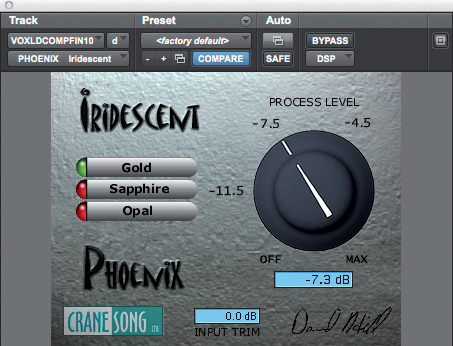 Ken Andrews' vocal chain for Paramore singer Hayley Williams: Waves Q10 high-pass filter and C4 multi-band compressor, Waves CLA3A compressor, Cranesong Phoenix 'analogue warmth' plug-in and Waves De-esser. 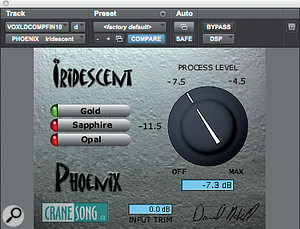 Vocals: Waves Q2, C4, CLA3A & De-esser, Cranesong Phoenix, Audio Ease Altiverb, Sound Toys EchoBoy. Mixdown: Waves NLS, SSL G-Master, H-EQ & Dorrough 380D, PSP Vintage Warmer 2. 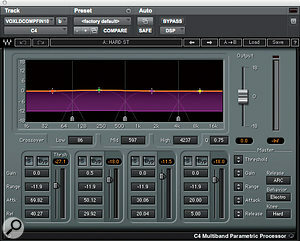 While mixing, Ken Andrews keeps his master bus plug-ins permanently open to the right of the Mix or Edit window, in order to keep an eye on the amount of compression taking place. "The session was 24-bit, 48kHz. I prefer to keep the mix files in the session. They first go through a stereo bus and are then printed to another stereo audio track. I like to have the various versions of the mixes in the playlist: mixes one two, and three, vocal up, vocal down, and an instrumental version. On the stereo bus, I have the NLS [plug-in] on a Spike Stent SSL setting, the Waves SSL G master bus compressor, and the Waves H-EQ. 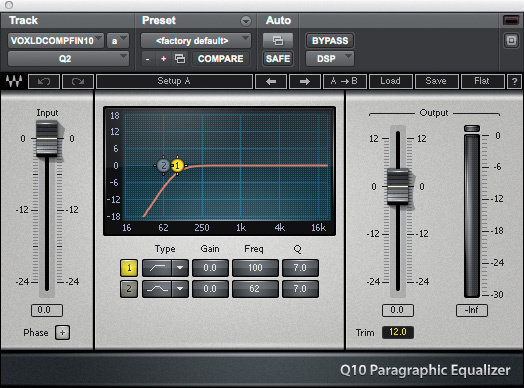 It is my favourite EQ, but it's a bit of a processor hog, so I tend not to use it on individual tracks too much. It is really good on the mix bus because it has a live frequency analyser on it that allows you to see what your mix is doing and where the peaks are. After that, there's one of my favourite things on the mix bus, the PSP Vintage Warmer 2, which is mostly a saturator, though it also functions as a level maximiser. It sounds awesome. I used very little of it, less than 1dB gain reduction, but it really shapes the sound in a great way for rock. Once I am at the point of adding the vocals, I turn it on and mix with it on. I also use the Dorrough 380-D, which is just a stereo meter, and on the right side of my display I'll always have the NLS, the SSL G-Master and the Dorrough, because they show you all the things you generally would see if you were mixing on a desk. 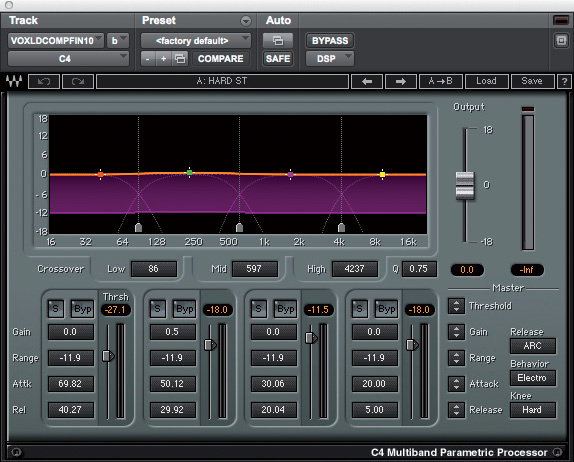 You really want to be constantly aware of how hard you are hitting the bus compressors when you are mixing. 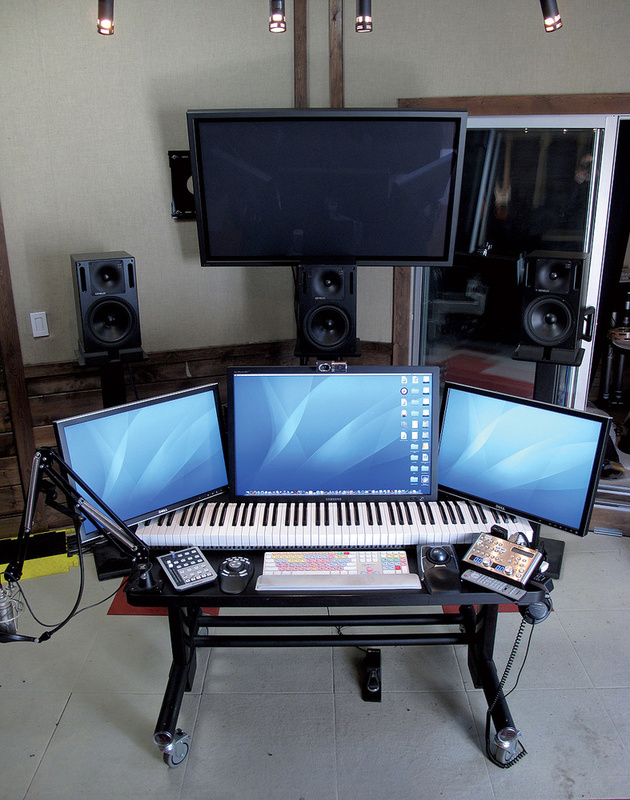 Ken Andrews prefers to use neither a mixing desk nor a mix control surface, relying instead on a trackball, PreSonus Faderport and three large flat-screen monitors. 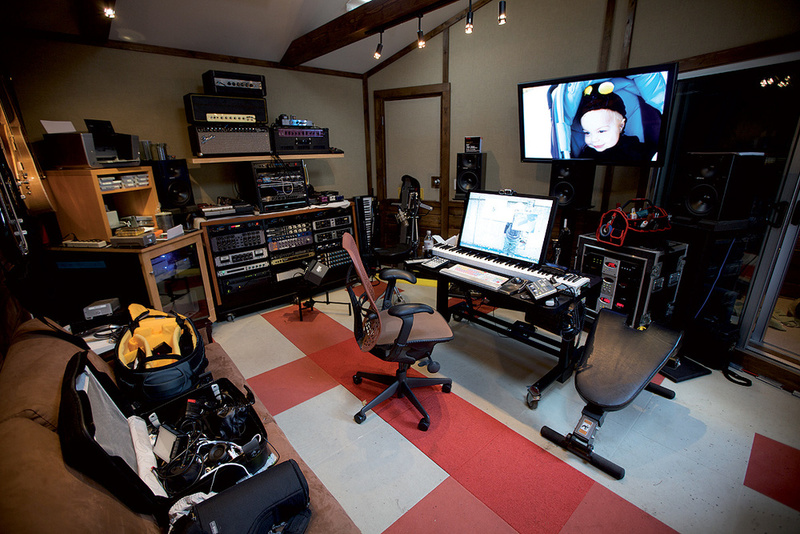 Ken Andrews' Red Swan Studios is the ultimate 21st Century studio. It's a private facility entirely based around his Pro Tools system and Genelec monitors, with no control surfaces and only a few choice pieces of analogue gear. Andrews explains: "We built a room within the existing garage, so nobody outside can hear me working, which is nice. I have five Genelec 1031A monitors, which have been my favourite monitors for 15 years now, plus a large sub-woofer. I'm so used to the Genelecs it's too late for me to change. The only acoustic problem with the space here is that the sweet spot is very small. You go three feet backwards and the bass is crazy. It's one of the reasons why the advantages of just using keyboard and mouse and just being able to stay in the sweet spot outweighs having a bunch of faders to control. I also find that when you are using a control surface, you tend to look at the surface when you grab a knob and then look up at the screen to check whether it is doing what you want it to do. 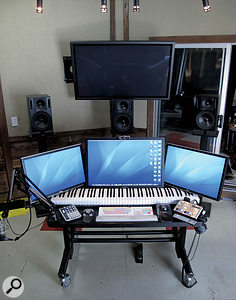 The screen is controlling your mix, so to me it's faster to just go there with a trackball. It's also much more efficient to me to get an overall level for a track, and then to draw in volume automation when something jumps out or is too soft. When you ride a fader, you're always reacting to something that has just happened, unless you learn everything and pre-empt your moves, which seems like a lot of unnecessary work. 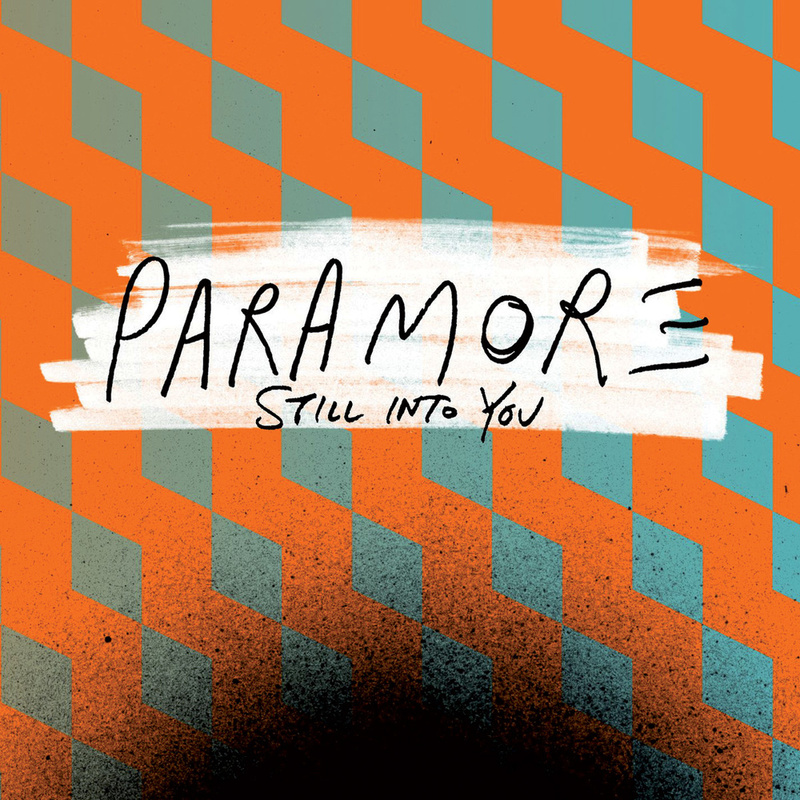 The Pro Tools session for Ken Andrews' mix of Paramore's 'Still Into You' consists of 81 music tracks. 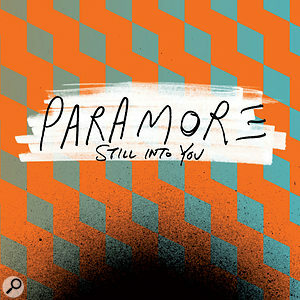 The Pro Tools session for Ken Andrews' mix of Paramore's 'Still Into You' consists of 81 music tracks. 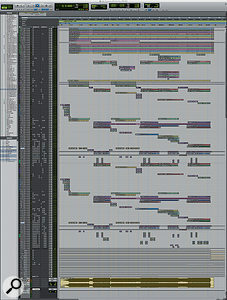 From top to bottom, these comprise 15 drum tracks, 14 percussion tracks, 13 guitar tracks, seven intro keyboard tracks and 17 more keyboard tracks (the region names indicate that the hardware keyboards used included an Arturia MiniBrute, Roland JX3P, Roland Juno 106, Korg MS20, ARP, Doepfer modular, Eowave Persephone and AtomoSynth Mochika), plus 15 vocal tracks, including the main lead vocal spread out over three tracks. 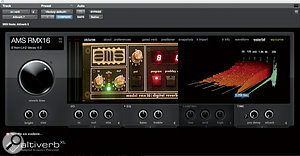 Below the audio tracks are six aux effect tracks labelled Shimmer, Room, Snare Reverb, Plate, Long Delay and Slap Delay, and nine aux group tracks (three drum auxes, percussion, rhythm guitars, lead guitars, keyboards, lead vocals and backing vocals), a stereo bus and a mixdown master track. Unusually, perhaps, the regions in the Edit window have not been colour-coded by instrument group. Ken Andrews: "I don't like colour-coding the regions, as in making all the drum regions the same colour, because it makes it hard to differentiate between tracks when you zoom in — and also, if you have an artist in the room who is looking over your shoulder and all the tracks have different colours, he or she will be able to say: 'It's that green track.' Colour-coded regions are a big confusing thing for me, so if I get a session like that, I change it right away. My alternative is group bussing, and in this session, I bussed tracks for the various instrument families, like drums, percussion, bass, guitars, keyboards and vocals, into their own stereo auxes. 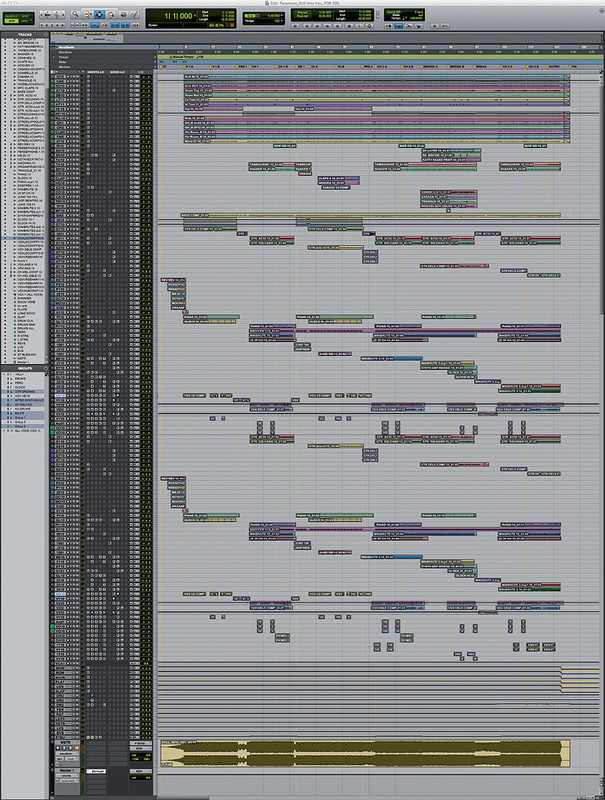 This really helps as a visual aid for when the track names themselves don't tell you what you're looking at, particularly if in a small Mix window. In this way I can quickly see under the I/O section what kind of track I'm dealing with. I prefer using coloured tracks to indicate actual grouping rather than identifying tracks. Going through this process is part of organising the session and familiarising myself with it. Another reason for having the master group tracks is to be able to quickly mute all guitars, or do a global ride on the keyboards. It's also really helpful when finishing a mix, because artists and labels now require you to deliver stems of all the mixes.